SHARING CREATIVITY and COMPANY: What Can You Make With The Ornament Punch? What Can You Make With The Ornament Punch? In the 2009 Holiday Mini Catalog, Stampin' Up! featured the ornament punch. It was a popular item for Christmas. As you might expect, creative minds have since made many non-Christmas projects using this punch. 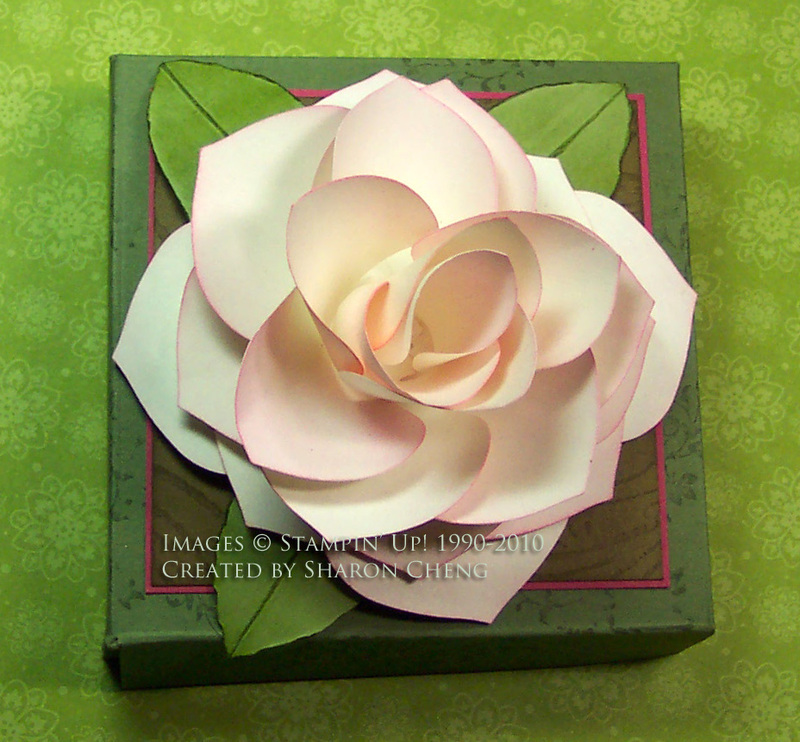 The rose or magnolia flower is probably the most elaborate of the projects that I have seen that use the ornament punch. There are many examples and tutorials that you can find online to show you how to make this rose. 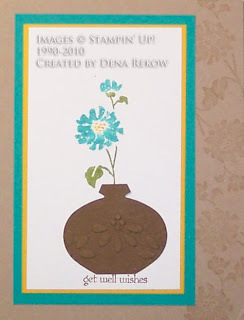 I used Becky Jensen's tutorial to make this stamp club project. This is a card that I received in a swap where they made a vase using the ornament punch. 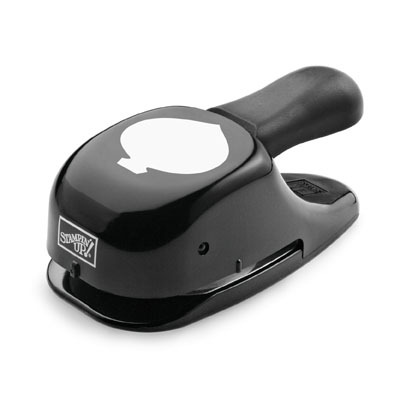 When you google "ornament punch" you'll find a wide variety of projects that have been made using this versatile punch. You can still order this punch. It's item number 116794 and is $15.95. If you would like to order this punch, please go to my website or e-mail me.